"Oh look. A wall. 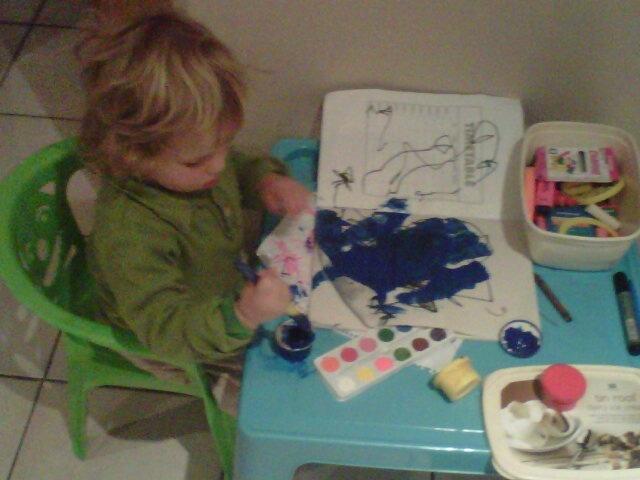 Therefore the perfect canvas for me and my whiteboard marker". 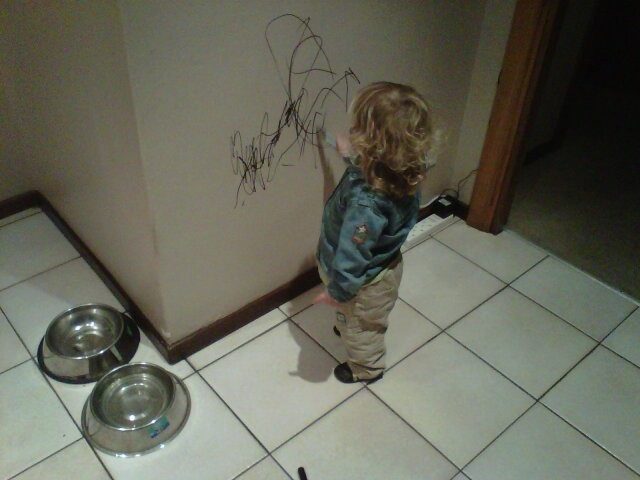 See what happens when Mom goes to the loo... the writing's on the wall! You’re the best, dude, and I don’t mind how many walls I need to clean, and paint I need to scrub! clearly i have alot more to look forward to than i thought! 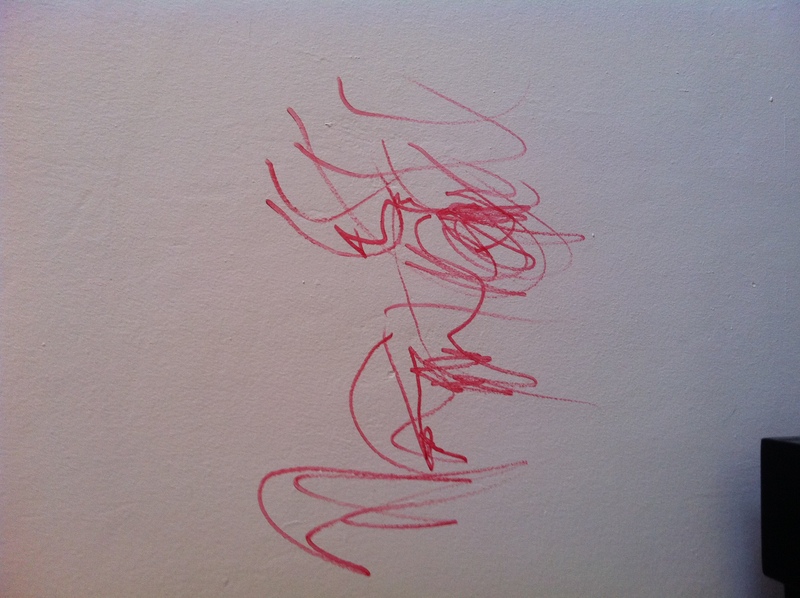 I remember a small patch on the wall in the passage of the house I grew up in that was never painted over – a little mark that i had made as a child. i think that if mom could’ve taken that piece of wall with her when she moved, she would’ve! LOL! We all have that at some stage. 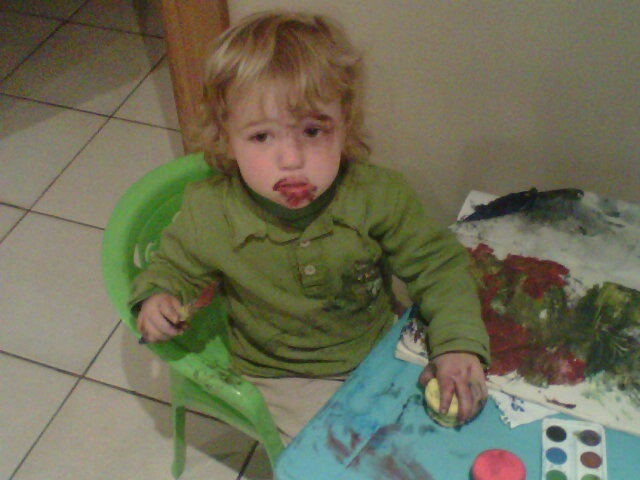 Only thing I really need to mention – wax crayons were specially designed to test any paint surface. The do not come off.